Product code: Q24 Categories: Browns, Creams & Whites, Floral & Trees, Greens, Linen, Luxury Fabric, Oranges, Romo. 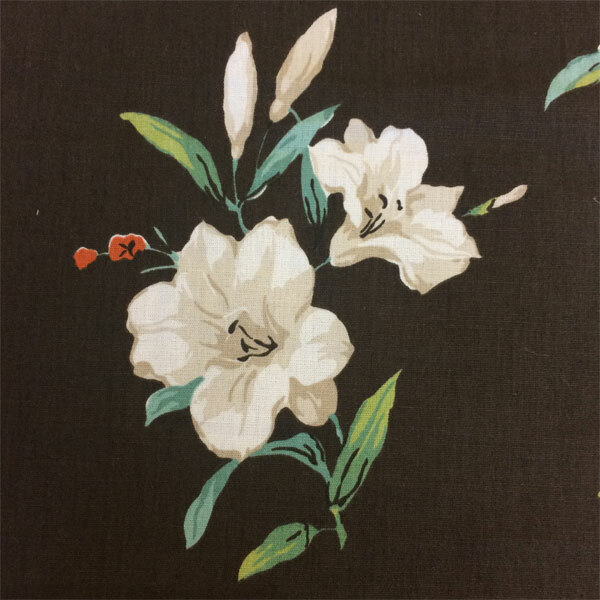 Audley by Romo is a distinctive floral fabric featuring white lilies. 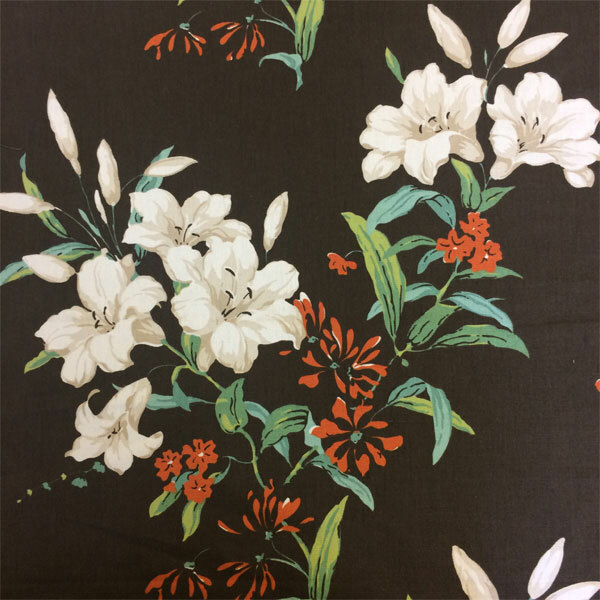 The fabric is a warm chocolate brown colour with a tall green stem with white lilies and orange flowers. Audley is a linen fabric. 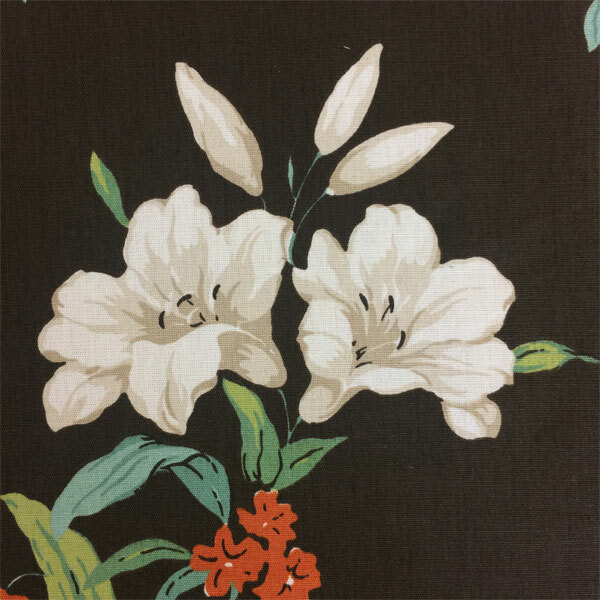 We recommend using this fabric to make a feature blind or curtains. Romo is one of the leading designers of fabrics in Britain. The fabric pattern repeat measures 44centimetres. The fabric width measures 1metre 35centimetres.